Advanced Records Management (ARM) offers a wide range of secure information management services. What Type of Information Management Service Do You Need Today? 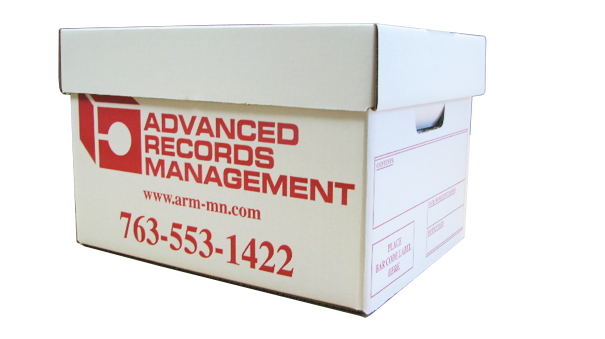 Advanced Records Management (ARM) has been providing information management services since 1995. ARM offers a variety of shredding services: Paper Shredding, Drop Off Shredding, and Hard Drive Shredding. ARM offers end-to-end scanning and imaging services to assist businesses with their information governance needs. ARM protects clients' backup media and archive data within the only Firelock NFPA-certified media vault in Minnesota. What do our clients think of us? Click here for Testimonials. ARM representatives answer phone calls 24/7/365. We will not send you to a centralized call center or take days to respond to your requests. Whether you are a one-person office or a Fortune 500 company, we provide the same, high-quality service. We value each and every one of our clients. ARM is subject to a multitude of independent security audits every year by Price Waterhouse Cooper, HSBC Holdings, Wells Fargo Financial and Hanover Insurance Group. We are proud to say that we have never been cited for a security issue. ARM is a family-owned, Minnesota corporation. Our business decisions are not made by investors or board members, but local business owners who live and work right here. We do not build in automatic rate increases, permanent removal fees or other administrative charges into our agreements. Our invoices are easy to read and easy to pay. ARM utilizes O’Neil records management and barcode scanning technology to track the activity of all items from the day they enter our facility, through all retrievals and returns, to the day they are destroyed.